A water version of the wind activated artworks that I have been creating over the last few years. 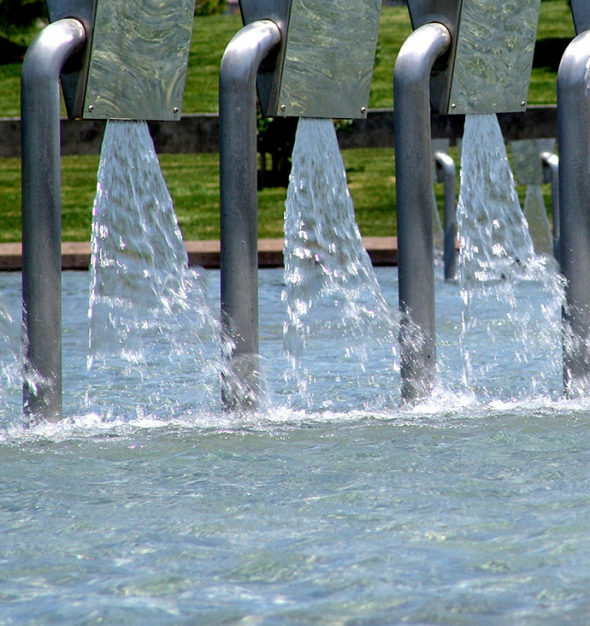 The artwork consists of 100-foot long arc of custom designed nozzles that spray thin sheets of water down into a lake. The 1/8th-inch thick, glasslike sheets of water move like fabric in the wind and are very responsive to light. 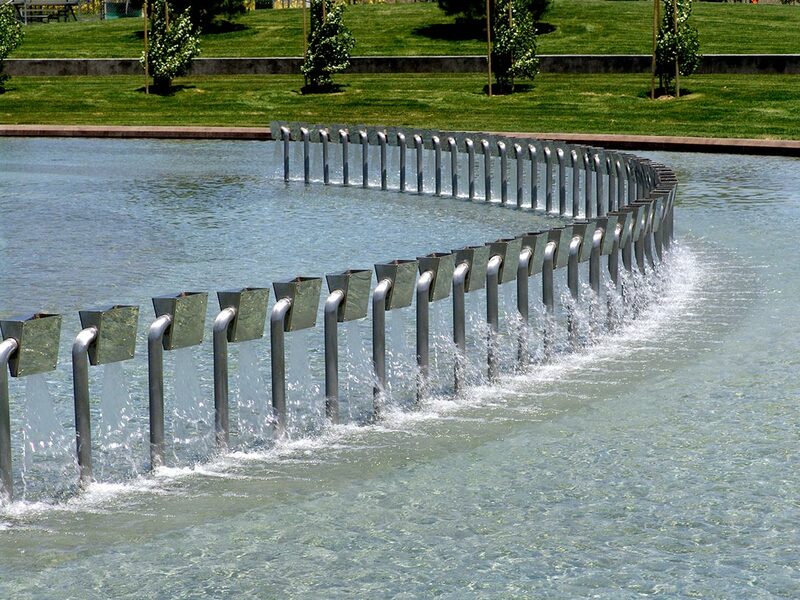 The water emanates from polished stainless steel plates, angled slightly down so as to reflect the wave patterns from the water surface below. This array of reflective metal squares creates the impression of a digitized line of undulating light, floating just above the water surface. The polished metal squares call attention to the complex interplay of light and water on the surface of the lake. As the thin sheets of water slice into the lake they create a distinctive sound which changes with the wind and counteracts the noise from the nearby roads, helping to create an oasis of natural phenomena for park visitors. The project was a collaboration with Carducci Landscape Architects and Baer Bros., the fountain contractor. Completed in 2004.